We are a week away from Thanksgiving! We will be hosting Thanksgiving at our house for David's family. I am itching to start my Christmas decorating this weekend, but I really wanted to keep my mantle and dining room in Thanksgiving decor. My mom and grandmother picked up the various plaid fabrics for me and I made the pennants in about an hour. 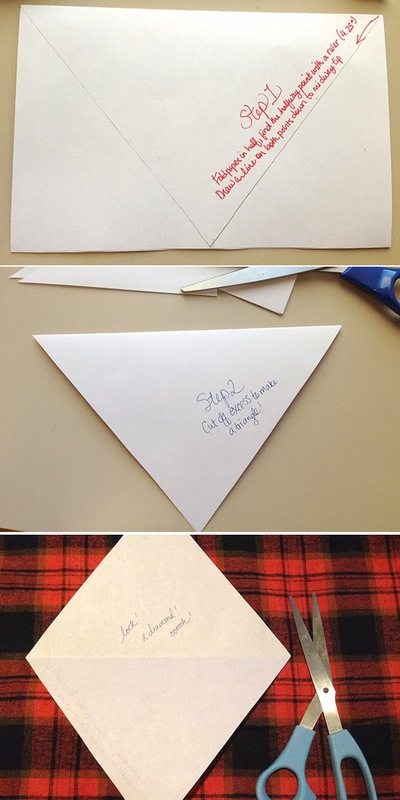 Measure out your triangle on a half-sheet of paper, unfold to see your diamond. Put your diamond pattern on the fabric and cut out the amount you need. I did "Gather Together." Lay out your twine, slide fabric diamonds underneath, draw a line of glue at the fold, then fold over and press fabric together along the twine line. It's ok if it's not perfect, it looks cute that way! 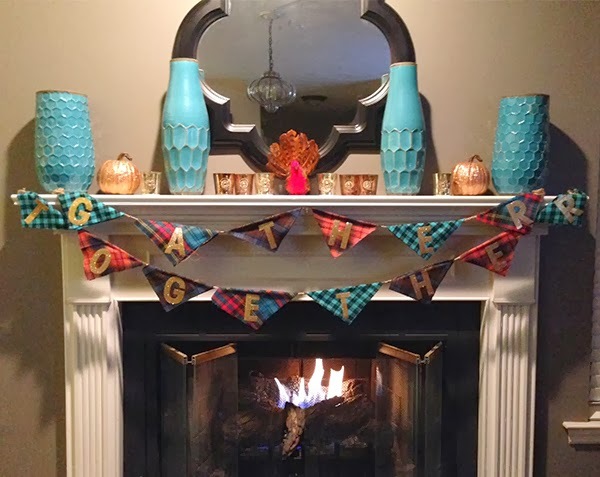 Once you have all of your pennants assembled on the twine, stick your letters on each letter. 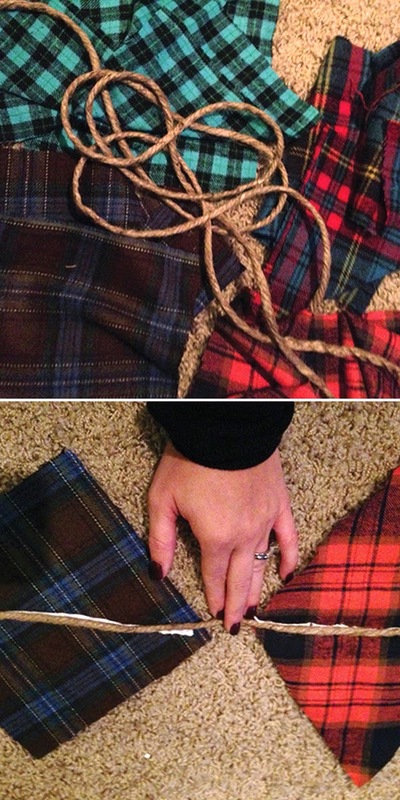 I used gold glittery to juxtapose the manly plaid of the fabric.